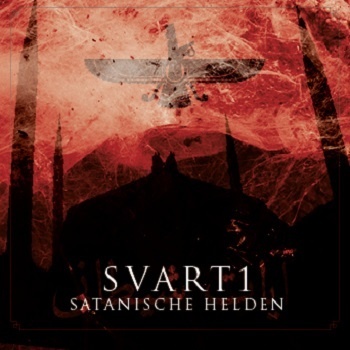 Italy’s sound & visual master SVART1 returns with “SATANISCHE HELDEN” – an aural exploration of eastern demons & an in-depth view on the various incarnations of the devil himself in eastern cultures. Following the impressive work of “Der Schnitter” & the field recording-intermezzo “Praha”, SVART1 continues its row of stunning high quality releases with its label debut on INDUSTRIAL CULTURE: “SATANISCHE HELDEN” – a title, that is merely a tribute to November Növelets “More Satanic Heroes” – is the next impressive proof of the pure quality of SVART1; an intense mixture of dark brooding ambient, organic ritual and rhythmic-harsh industrial straight from the deep pits below. With the pre-order of SVART1‘s “SATANISCHE HELDEN” we send a limited A3-poster of the front graphic out! We’ve last copys of the A3-poster here, ask for it! © 2019 Industrial Culture. All rights reserved.